Do you know someone with a disability who likes to ski? 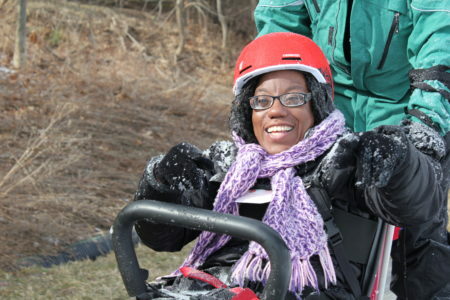 In the second episode of the ADAPT Community Network’s EMPOWERED series, Shaniqua Freeman ventures out of New York City and her wheelchair to experience skiing! Your generous support can provide individuals living with disabilities the opportunity to partake in other exhilarating adventures. Donate today to support ADAPT Community Network in their commitment to empowering one individual at a time! Thank you!